We’re excited to announce that TEDxSunnyvaleLive is bringing two sessions from the main TED Conference to Silicon Valley. And you can attend – free! We’ll gather in the Community Room at Keypoint Credit Union, and together we’ll watch two of the eleven full sessions from the main TED Conference that was just held in Vancouver, BC. Special Bonus: Attendees will receive a copy of the complete program book from TED2018, while supplies last. What is the TED Conference? 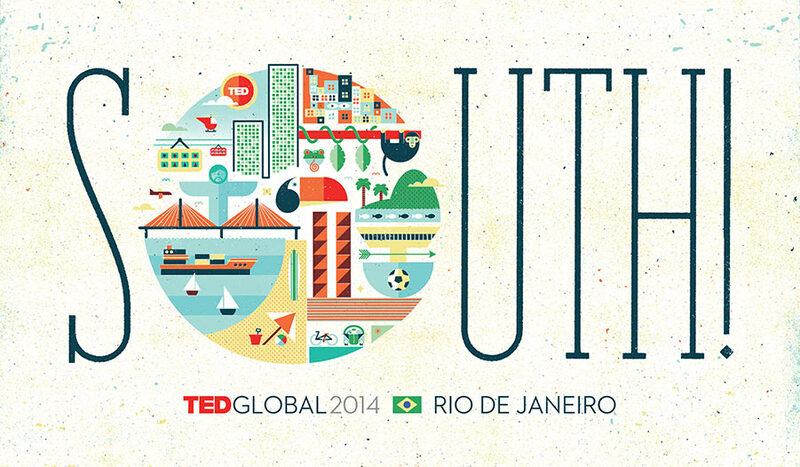 Held annually on the West Coast of North America, the TED Conference is at the heart of TED. More than a thousand people attend this five-day conference about Technology, Entertainment and Design — as well as science, business, the arts and the global issues facing our world. Over 70 speakers appear on the main stage to give 18-minute talks and shorter presentations, including music, performance and comedy. In 2017 New Zealand will celebrate the 60th anniversary of Scott Base, one of the oldest research facilities located in the international territory of Antarctica. 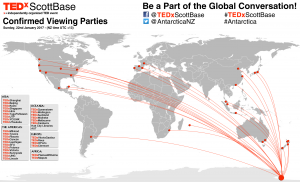 To mark the occasion, Antarctica New Zealand will host a first-of-its-kind event on ice, broadcast around the world: TEDxScottBase. 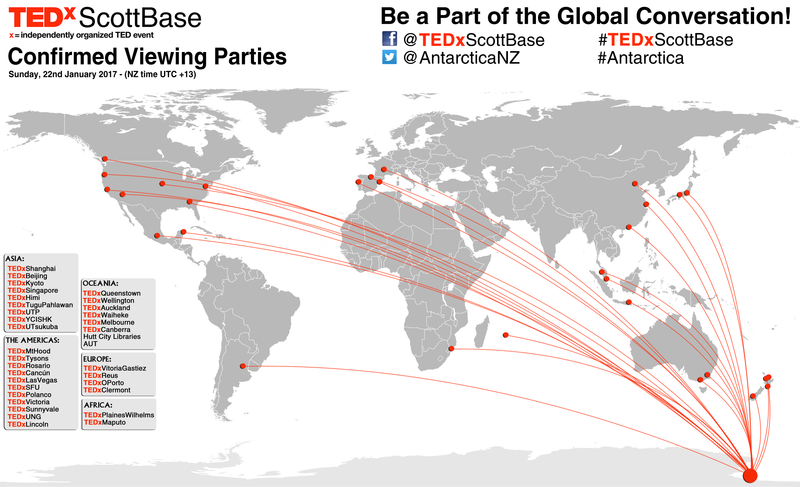 It aims to bring the very best ‘ideas worth spreading’ not only to the Antarctic, but to the world. 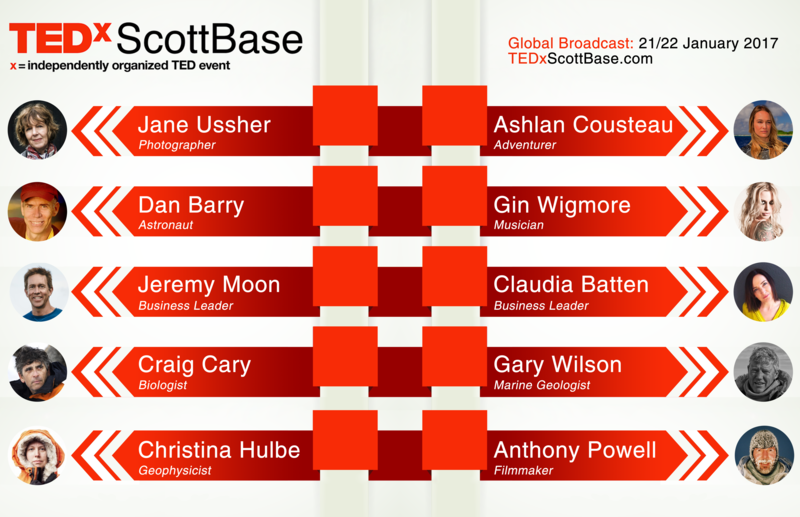 With an ambitious line up of speakers heading to the most isolated place on earth, TEDxScottBase is like no other event. TEDxSunnyvale is proud to host the only TEDxScottBase viewing party in California. Our local Viewing Party is at TechShop, 300 S Second St, San Jose, CA 95113. We will open for checkin on Sunday at 9:30am, and plan to start the Viewing Party at 10am. There will be three sessions with around four hours from Antarctica. We’ll have breaks in between, with time to discuss the talks, plus a lunch break together. 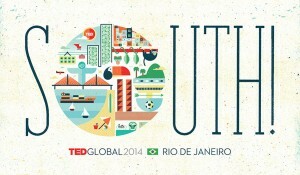 I look forward to watching this extraordinary TEDx event with you! Join us on April 19th! Come join us Saturday, April 19th at TEDxSunnyvale! Living in Silicon Valley we’re proud of all the wonderful inventions from our schools and our startups. But we don’t have an exclusive on inventiveness. Many things are invented elsewhere, or were first invented a long time ago. Sometimes things are discovered instead of invented, or things just emerge. Where else do great ideas come from and what are some of their stories? There are over 1,700 TED talks up on TED.com, and over 30,000 talks from TEDx events. TEDxSunnyvale exists to bring some of the best of those talks together with passionate people to view and to ignite discussion. How many of you have ever contemplated becoming a farmer, and growing all your own food? Did you ever consider what you’d do when your expensive tractor kept breaking? TEDxBerkeley is the largest TEDx event in the greater SF Bay Area. There are always wonderful speakers, interesting ideas, music, and art, all with a touch of Berkeley or UCBerkeley. Tickets are almost gone – buy now! 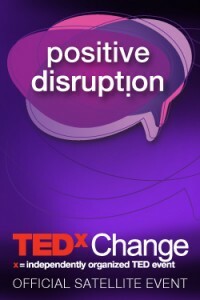 The Bill and Melinda Gates Foundation is holding TEDxChange on Wednesday morning April 3, in Seattle, Washington. We’re holding TEDxSunnyvaleChange here in the South Bay to share the livestream of TEDxChange from Seattle. To enable people with daytime commitments to watch and participate, we’ve chosen to time-shift this to the early evening. In our own TEDxSunnyvale style, we’ll take time to discuss each speaker before watching the next. There is no charge to attend. Space is limited – please register so we can plan accordingly. If you register, we will hold one of our limited spaces for you. 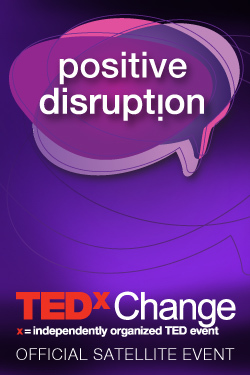 Themed Positive Disruption, TEDxChange 2013 speakers will challenge preconceived ideas, spark discussion, engage leaders and shed light on new perspectives. Convened by Melinda French Gates. Overcoming global challenges takes global involvement; the conversation needs your voice! Limited free parking is available in the TechShop parking lot. When that’s full, there are several pay lots and garages nearby. The program starts at 7 p.m. and runs approximately 90 minutes. a taqueria, and burgers. We expect to have free coffee. Sign up to stay informed of upcoming TEDxSunnyvale events.